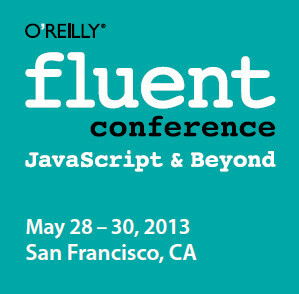 May 28th – 30th, meet Dmitry Jemerov and John Lindquist at the second annual O’Reilly Fluent Conference in San Francisco, California . At our booth, Dmitry and John will demonstrate the current features of WebStorm 6 and will be ready to answer your questions. Additionally, the team is working hard to have WebStorm 7 EAP ready in time for Fluent. We invite you to come by and discuss the release roadmap and share with us the features that you would like to see in WebStorm 7. This entry was posted in Conferences & Events and tagged O'Reilly Fluent Conference. Bookmark the permalink.